Amélie Desmarais, our MSc student, attended the Emerging Leaders 2019 Conference that was held in Norway in January of this year. Emerging Leaders brings together young professionals and Ph.D. students/post docs to meet with representatives from academia, business and the public sector through an inspiring and educational program. This year, Emerging Leaders invited 30 selected candidates from different countries to participate in a blend of technical, social and cultural events accompanied by mentors from business, politics and academia. The Emerging Leaders explored topics and adventures that were specific to the Arctic mindset and engage in crucial and contemporary discussions on environment, resource management, security, the development of business and technology in the Arctic. Furthermore, the Emerging Leaders presented a professional view on the Arctic at the Arctic Frontiers Policy conference in Tromsø alongside academia and decision makers from government and business. 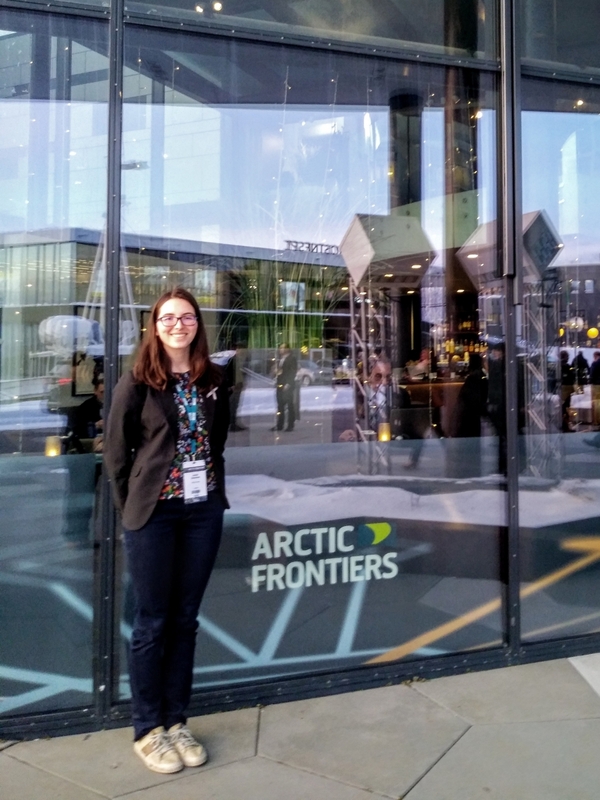 Amelie's main research interests are Arctic climate and sea ice prediction, so this year's Emerging Leaders conference was a perfect fit for her!